On a press call this afternoon, NASA and its research partners discussed several science experiments headed to orbit with the next ISS resupply mission. The space agency covered a host of interesting topics, including 3D printing, micrometeorite studies, and robotic grippers for hoisting objects onto walls. And then, the bombshell: NASA would like to light a “large scale fire” in space. 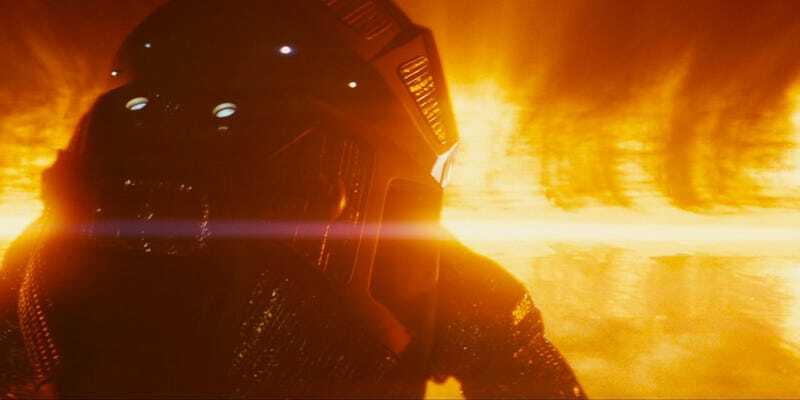 While “fire” and “space” are two words we typically only associate in the context of science fiction slasher films, NASA would like to recreate this particular disaster in an expendable spacecraft to see what happens. After the next Cygnus resupply vehicle undocks from the ISS and moves to a “safe distance,” a team of ground-based operators will execute a command to begin Spacecraft Fire Experiment-I (Saffire-1). Far overhead, a sealed box containing a meter-long strip of cotton-fiberglass composite will burst into flames. The entire experiment will be conducted autonomously, with temperature, O2, and CO2 sensors collecting data on the burn in real time, which, Ruff noted, “may be as short as 15 to 20 minutes.” Two cameras will capture footage on one side of the burning material, while radiometers will measure the heat coming off of either side. All of this data will be returned to the ground 8 days later, when Orbital ATK takes control of, and de-orbits, the hopefully-still-intact vehicle. “One of the big questions in fire safety, whether it’s terrestrial or in space, is how rapidly are conditions in a room or spacecraft going to get bad for inhabitants,” Ruff said. Based on the information that Saffire-1, and future Saffire experiments—yes, NASA is already planning to replicate this experiment—provide, the space agency can start developing better fire detection and protection gear for its astronauts. NASA stressed that the space fire will take place nowhere near the International Space Station, which will house six men and women at the time of the experiment. Space is an anxiety-inducing environment to begin with, and we can only assume NASA is trying to be sensitive to the fact that human beings probably don’t want to see, or even consider, a large combustion event taking place right next door. “It’ll be about four hours away, on a different orbit, and I think below the station when they start,” Ruff said.